India’s investment landscape in the past 12 months has been a picture of prosperity. Companies in huge swathes have issued IPOs; private equity investors forked out US$25 billion for Indian entities in 2017 and made their exits, too, while US$13.7 billion was channelled into domestic startups last year. The deal value of mergers and acquisitions (M&A) for the first quarter of 2018 climbed to US$18.53 billion, according to Grant Thornton. 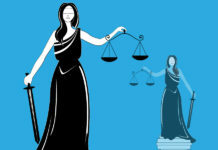 All of this spells good news for international law firms, many of which are guiding new and experienced investors such as Kohlberg Kravis Roberts, SoftBank, Amazon, Tencent and Rosneft into India’s booming industries. Lawyers from around the world are amassing their air miles with frequent trips to India to help cement these deals from a foreign law perspective. In line with a 13 March ruling by a two-judge bench of the Supreme Court, the “fly-in fly-out” model is permissible, but foreign lawyers are still prohibited from practising Indian law and opening offices in India. For many firms, this arrangement is ideal, as the fee pressures among Indian corporate clients and intense cost competition within India’s legal circle suggest that running a local office does not make business sense. Others, however, remain keen, with some stating they will be the first in line to open branches in India’s political and financial capitals if the law permits. Political friendships and frailties are understandably informing many investments. As the UK grapples with a shapeless Brexit deal, companies hang in the balance, trying to decipher their exposure to risk and waiting with frustration on a final outcome that will determine whether and how to move their European operations. Meanwhile, in the US, a decision by President Donald Trump to increase tariffs on steel and aluminium from India has led to a trade backlash, with India raising import duties on 30 US products including almonds, walnuts and apples. Disputes such as these will no doubt keep international lawyers on their toes. Movements and reshuffles within the legal community are creating new options for consumers of legal advice. Stalwarts such as Martin Harman are joining Indian law firms as advisers and consultants, while young Indian graduates are exploring training opportunities at firms in Japan, the UK and the US, and continuing talks – such as those between Allen & Overy and O’Melveny & Myers may create even more law firm behemoths. Against this backdrop, India Business Law Journal reveals the India-related achievements and activities of law firms across the globe. Our report, now in its 12th year, draws on an analysis of more than 600 law firms from every continent that have documented deals and matters with an Indian element in the past 12 months. Our results are based on intensive research, deep editorial experience and wide consultation with corporate counsel and Indian law firms. As in previous years, we received hundreds of submissions from law firms and carefully studied public and other records, along with reports in Indian and international media, to ensure the accuracy of our information. 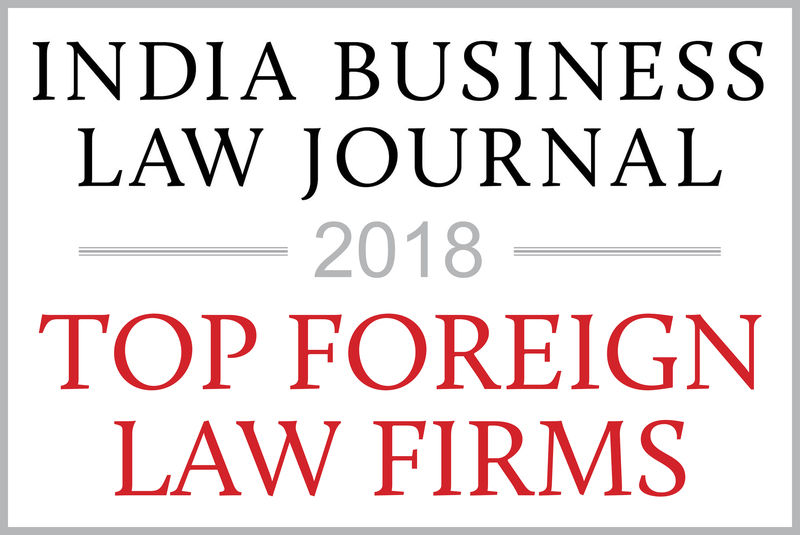 Based on this research, India Business Law Journal is pleased to present its selection of the top 12 foreign law firms for India-related work. We also list 12 firms that are considered key players for India-related deals, and an additional 20 firms that are categorized as significant players. As always, we pay close attention to regional and specialist firms in key economies such as Australia, Canada, Germany, Japan and Singapore, and emerging regions such as sub-Saharan Africa. We pinpoint 13 firms in this category that are equipped and experienced to take on India-related mandates. We further feature 25 “firms to watch” and 18 firms to watch in the regional category. Some of these firms provide a broad spectrum of legal services with multiple practice areas spread across a geographically diverse network of offices. Other firms have made inroads through niche specialities and knitted tight regional relationships to help India-centric clients with their investments, funding and disputes. We believe, on the evidence available, that these firms are committed to India and passionate about attracting India-related work. All of the lists are in alphabetical order. In previous years, we listed the top 10 law firms for India-related deals. The names in this category have often stayed the same. However, the addition of two more advisers in the top category this year gives weight to an earlier prediction – that new rivals would rise and eventually challenge the status quo. 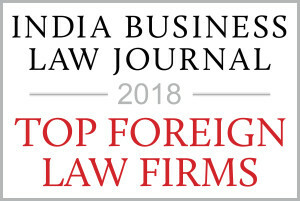 Our top 12 table consists of law firms that have unparalleled India practices and are routinely engaged to advise on complex and high-value transactions involving Indian businesses as a result of their unrivalled reputation, multidisciplinary practices, size and geographical reach. Allen & Overy profits from deep relationships and a loyal client following on the India circuit. Iain Milligan QC says the firm is “in a league of its own – there is no one as good”. He worked with the firm on an arbitration against the Indian government regarding claims under two production-sharing contracts relating to the Tapto and Panna Mukta oil and gas fields, off the west coast of India. Milligan recommends Matthew Gearing QC and Sheila Ahuja for their “long experience of Indian matters” and “excellence in every respect”. Ashok Lalwani is the global head of Baker McKenzie’s India practice, which comprises 300 lawyers supported by a multijurisdictional steering committee of senior members. The firm has held thought leadership conferences such as Doing Business Globally India, to share insights on economic and geopolitical developments impacting Indian businesses. Some of its standout assignments include: assisting the lead arrangers on a US$350 million loan facility to NTPC; acting on Hindustan Aeronautics’ US$649 million IPO; representing Birlasoft on its US$700 million merger with KPIT Technologies; and advising ICICI Bank against the Essar Group on the enforcement of a New York judgment in England and the recovery of US$600 million. Compliance, investigations and competition are among the firm’s key strengths. The vice president and associate general counsel of a New York-based company hired the firm for anti-bribery and anti-corruption training. “Mini vandePol and Sunny Mann are both excellent and have deep experience in India,” she says. Competitors and clients continue to compliment Clifford Chance on its consistency and credibility in India. As a result, it is often at the forefront of headline-grabbing deals. Last year, the firm advised BASF India on the sale of its leather chemicals business to Stahl India, and advised the bookrunning lead managers on Federal Bank’s ₹25 billion (US$386 million) qualified institutional placement. At the start of this year, the firm was adviser to MUFG Securities and Citicorp International on the US$1.5 billion secured euro medium-term note programme by Indiabulls Housing Finance. In April, it represented Kotak Mahindra Capital, Axis Capital, Goldman Sachs (India) Securities, JM Financial, and JP Morgan India on the international law aspects of Bandhan Bank’s US$687 million IPO on the Bombay Stock Exchange and the National Stock Exchange of India. Partners Rahul Guptan, Kabir Singh, Nish Shetty, Mark Poulton and Ranbir Hunjan are key India-focused experts. Freshfields Bruckhaus Deringer has no trouble attracting illustrious clients with names such as Essar Energy, HDFC, Tata Sons, Goldman Sachs and Amtek Auto on its roster. Last year it was counsel to Goldman Sachs on the sale by Nettle Infrastructure – a subsidiary of Bharti Airtel – of a 4.49% stake in Bharti Infratel through block deals for US$510 million. It later won a role as adviser to Merck on the sale of its global Consumer Health business to Procter & Gamble for approximately €3.4 billion (US$3.9 billion). The deal involved the sale of Merck’s shares in a number of legal entities, as well as various asset sales, and comprises the consumer health business across 44 countries, including more than 900 products and two Consumer Health-managed production sites in Spittal, Austria and Goa, India. Most recently it was counsel to Canada Pension Plan Investment Board on India’s first private placement and listing of units by an infrastructure investment trust – IndInfravit Trust. Arun Balasubramanian is a key contact. Herbert Smith Freehills has forged long-lasting ties with India by supporting large Indian business houses on their cross-border acquisitions, fundraising exercises and disputes over the years. Last year, the firm was counsel to the underwriters on the US$1.75 billion Bombay Stock Exchange and Rule 144A/Regulation S global IPO of General Insurance Corporation of India, India’s largest reinsurer. It is currently advising the underwriters on the proposed Bombay Stock Exchange and Rule 144A/Regulation S global offering of Flemingo Travel Retail, India’s largest duty-free and travel-retail operator. It is also advising SoftBank on the corporate, project finance and competition law aspects relating to the development of a string of solar projects in India, structured through a joint venture, and Bharti Airtel on the setup of a joint venture with Millicom International Cellular in Ghana. The firm has also broadened its reach beyond the commercial realm through several initiatives including a formal alliance with IDIA, an Indian charity that supports students from underprivileged communities. In addition, it links law students with local charities through its own social project, HSF Bridge. Jones Day maintains its position in the top tier after attracting a variety of mandates across practice areas. This year the firm advised OMERS, the pension plan for Ontario’s municipal employees, on its US$266 million investment in HDFC. It is also advising the Aurecon Group in conjunction with SMRT (Singapore), Singapore Cooperation Enterprise and the Mauritian government on the successful tender for the Metro Express light rail project in Mauritius, and assisting Shapoorji Pallonji Infrastructure Capital on the construction of its 50MW grid-connected solar power project in Ninh Thuan, Vietnam. “The Jones Day India team are among the best outside counsel I have worked with, let alone for India-related matters,” says David Peters, vice president of legal for EAME and Southwest Asia at Hyatt Hotels. He praises Sushma Jobanputra and Vinay Kurien for being “responsive, practical, commercial minded, very knowledgeable and fun to work with”. William Ferguson Jr, executive vice president of administration, general counsel and secretary at Babcock Power, says the firm’s lawyers are “very capable, regionally skilled, prompt and efficient”. Latham & Watkins often finds itself at the heart of complex capital market deals with an Indian element, as evidenced by its role in six of India Business Law Journal’s Deals of the Year 2017. The firm represented the underwriters in Aster DM Healthcare’s US$153 million IPO on the Bombay Stock Exchange and National Stock Exchange of India. It worked with Vedanta Resources in its US$1 billion bond offering due in 2024, and represented MakeMyTrip in its US$330 million private placement of ordinary shares and class B convertible ordinary shares. “We seek advice from [Latham & Watkins] for all international law-related matters, especially for the US,” says Abhinav Bharti, CFA, executive director and head of India equity capital markets at JP Morgan. “They are the best on the street.” India practice head Rajiv Gupta is Bharti’s “go-to counsel for all India transactions” due to his “very balanced and thoughtful approach”. Former New York-based Wells Fargo capital markets counsel Shihani Soysa joined the firm in Singapore this year and is the India group’s newest addition. Linklaters’ core senior India-focused team comprises dual-qualified lawyers with extensive experience working both in India and in international markets. So it’s no surprise that the firm finds favour among illustrious clients such as Reliance Industries, Tata Steel, Piramal, ICICI Bank and Adani Group. It also benefits from a best-friend relationship with Indian firm Talwar Thakore & Associates. Recent accomplishments include: assisting Indian investment bank Avendus Capital on its acquisition of UK-based asset management company Ocean Dial Asset Management; advising Telus International on the US$240 million purchase of substantially all of the assets of Xavient in the US, and two Xavient entities in India; acting for the joint global coordinators and joint bookrunners on the issue by Adani Ports and Special Economic Zone of US$500 million in 4% senior notes due in 2027; and representing the banks on three term loan facilities totalling US$2.5 billion for Reliance Industries to further invest in its Jio telecoms business in India – the largest financing for an Indian conglomerate to date. Narayan Iyer heads the India group. Norton Rose Fulbright earns its place in the top tier after handling a string of high-profile mandates and disputes. The firm advised London-based GuarantCo on a landmark ₹2.5 billion dual-tranche, unsecured, wrapped and rated bond issuance by Sindicatum Renewable Energy Company – the first green bond issued in rupees. It also acted for a syndicate of banks on a cross-border non-recourse financing to Kia Motors India, and is representing an Indian construction company in a multimillion-dollar Indian-law governed, London-seated International Chamber of Commerce (ICC) arbitration in relation to a dispute with a European design and manufacturing company. “Our experience with NRF has been extremely good,” says Somashis Mohapatra, deputy general manager of corporate legal at CG Power and Industrial Solutions, who consulted the firm for advice on corporate restructuring and commercial disputes involving non-Indian entities. “The advice and the work performed … has been by far the best in comparison to all other international law firms we have worked with.” Mohapatra recommends Sherina Petit for her “approachability, fast response and excellent understanding of clients’ business requirements”. Shearman & Sterling’s stellar reputation comes from its ability to close tricky, high-stakes transactions. The firm counts Sun Pharmaceuticals, Norwest Venture Partners, the Tata Group, Vedanta Resources, Everstone Capital Partners and the Aditya Birla Group among its clients, and covers a broad range of practice areas including M&A, projects, financing, asset management, anti-bribery and arbitration. Capital Square Partners reached out to the firm for advice on its purchase of Aegis Group from Essar Global Fund, and its potential acquisition of a controlling stake in StarTek, a New York Stock Exchange listed company. The firm was also an adviser on the formation of a joint venture between Arcelor Mittal and Nippon Steel to acquire Essar Steel – a deal valued at more than US$1 billion, and counsel to GMR Hyderabad International Airport on its debut Rule 144A/Regulation S offering of US$350 million in aggregate principal amount of 4.25% senior secured notes due in 2027. Sidharth Bhasin leads the firm’s global India practice group. Sidley Austin breaks into the top tier this year on account of its impressive track record on India-related corporate finance matters. It handled more IPOs in India than any other international firm in 2017, completing six and filing seven. Partner Manoj Bhargava is renowned for his work in this area and has completed more than 125 offerings for Indian companies. 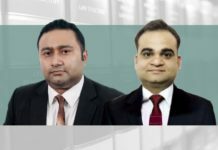 A steady pipeline of deals saw the firm: advise the underwriters in Lemon Tree Hotels’ US$160 million IPO; act for the underwriters on Idea Cellular’s US$550 million qualified institutional placement; represent a bank in Bharti Infratel’s US$240 million block trade of shares; and appear on GTL Infrastructure’s convertible bond offering. It also advised HPCL-Mittal Energy on its maiden issuance of US$375 million of senior unsecured notes due in 2027, and represented IDFC, Edelweiss, Inga Capital and JM Financial in connection with a US$140 million qualified institutional placement by Natco Pharma. Samir Gandhi, Prabhat Mehta and Ankit Kashyap are also India specialists. Squire Patton Boggs (SPB) soars into the top tier after being at the forefront of some of the largest and most widely reported capital markets deals in India. India practice co-head Biswajit Chatterjee spearheaded many of these deals with assistance from Kaustubh George and Anandee Banerji, winning roles on deals such as: NTPC’s US$1.42 billion offer for sale; New India Assurance Company’s US$1.4 billion IPO; and Union Bank of India’s US$300 million qualified institutional placement. Karan Agarwal, manager of finance at GR Infraprojects, whose first experience dealing with an international law firm was with SPB, says “the services provided by SPB were effortless”. The team was “supportive and cooperative”, he says, and “always there to cater to our needs despite the time difference”. At the start of 2018, the firm became a founding partner of the Manchester-India Partnership, launched in collaboration with the Confederation of Indian Industry. In May, the firm appointed Nimi Patel as a director in its India practice. Patel was the former India practice leader at Herbert Smith Freehills and brings to the firm her vast network of contacts and deep transactional experience. Ashurst’s position in the limelight is guaranteed as it so frequently finds itself in the midst of India’s biggest deals. In the past 12 months, the firm: assisted Kia Motors on its US$2 billion investment in Andhra Pradesh to construct manufacturing plants and facilities in the state; advised Vedanta Resources on the £813 million (US$1 billion) acquisition by its Indian subsidiary of approximately 90% of Electrosteel Steels; guided GVK Hancock in relation to the US$3.5 billion Alpha Project – the development of one of the largest coal mines in Australia; was counsel to Bank of America Merrill Lynch, JM Financial, JP Morgan and Morgan Stanley on the US$450 million IPO of PNG Housing Finance; acted for UBS Securities India in relation to a block trade in shares of Bharti Infratel by Nettle Infrastructure Investment; and was adviser to the joint bookrunners in Greenko’s US$1 billion green bond offering. The firm has continued its best friend non-exclusive referral arrangement with Indian Law Partners for more than six years, providing clients with access to experts on the ground in India. Bird & Bird provides a full-service offering to Indian clients with particular specialities across industries including aviation, energy and utilities, financial services, life sciences, and technology and communications. In the past few years, the firm has focused on developing its pharmaceutical work in India, following the arrival in Sydney of patent litigator Jane Owen. As a result, the firm has taken on matters for clients such as Dr Reddy’s and Cipla. Recently, it acted for Generic Health, which was found to have infringed Bayer’s patent for the contraceptive Yasmin, and represented Alembic in proceedings against Generic Partners restraining it against the use of Alembic’s confidential information and copyright. Other assignments include: advising IGL Holdings (a member of Mumbai-based Indsur Group) on its acquisition of Western Thermal; acting for Nok Airlines on the sublease and transfer of one lease of various Boeing 737-800 aircraft to SpiceJet; and advising Dharma Foundation on its franchising model, IP strategy and corporate funding agreements. Cleary Gottlieb Steen & Hamilton sunk its teeth into a number of juicy deals in the past 12 months. The firm represented Punjab National Bank in Chapter 11 bankruptcy proceedings in New York for Firestar Diamond, the flagship company of billionaire Nirav Modi, who has been at the centre of India’s largest bank scam. It also bagged a role as lead global antitrust counsel to The Dow Chemical Company on its US$130 billion merger with DuPont. The deal required clearances from regulators in more than 20 jurisdictions including India, the US, EU, China, Brazil, and South Africa. In addition, it is advising Google in judicial proceedings at India’s National Company Law Tribunal following the Competition Commission of India’s decision in January 2018, where it found no infringement on the majority of issues it investigated, but did identify three infringements. Google is appealing the infringement findings, while the complainant is appealing the non-infringement findings. The Mittal family, TPG Asia, Cinnamon Capital and Azure Power Energy are also clients. The CMS India desk is led by a team of partners and senior associates based in London, Stuttgart, Dusseldorf, Dubai, Singapore, Vienna, Zurich and Rome. The firm was counsel to Wockhardt and its Swiss subsidiary, Wockhardt Bio, on a US$250 million syndicated term loan facility with IDBI Bank and Export-Import Bank of India as the syndicate banks. It is also: advising an Indian solar developer on setting up its business in the Middle East; acting for an Indian licensee and distributor of an American shoe and clothing line in connection with a dispute relating to termination of contract; and advising an Indian auto company on an auction sale of a European auto business. Debolina Partap, vice president of legal and general counsel at Wockhardt, says CMS is “very comparable to any magic circle firm”. She adds: “They are very good and prompt … and keep the client’s interests as well as costs in mind”. Partap recommends Jonathan Warne and Andrew Tapplin for being “very business-focused” while offering “strategic thinking when suggesting legal solutions”. Davis Polk & Wardwell’s India practice has been buzzing with activity in the past 12 months. The firm is known as a capital markets powerhouse and had no trouble picking up a string of high-profile mandates. Last year, it secured a role as adviser to the joint global coordinators, lead managers and bookrunners on a Rule 144A/Regulation S offering of US$500 million in 5.30% senior notes due 2022 by Marble II, which holds a 60.45% stake in Mphasis. It was also counsel to Reliance Industries on its Rule 144A/Regulation S offering of US$800 million of 3.667% senior notes due in 2027. It then went on to assist the global co-coordinators and the bookrunning lead managers on the ₹57.01 billion IPO and listing on the Bombay Stock Exchange and the National Stock Exchange of India of the equity shares of ICICI Lombard General Insurance Company. This year, it advised Millicom International Cellular on the sale of its business in Rwanda to subsidiaries of Bharti Airtel. DLA Piper’s India desk offers capabilities across M&A, dispute resolution, investigations, restructuring, banking, outsourcing, data protection and employment. 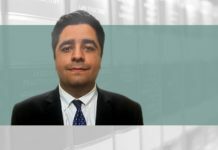 On the M&A front, it recently: advised Wipro on the sale of its hosted data centre business to Ensono; advised Mahindra on the sale of a minority shareholding in CIE Automotive to Alba for €303 million; and acted for Jindal Poly Films, through its subsidiary JPF Holland, in connection with the US$102 million acquisition of Apeldoorn Flexible Packaging. On the finance front, the firm advised Capital Square Partners on the mezzanine and senior debt financing in connection with the acquisition of Aegis BPO, Essar Group’s BPO business, and assisted YES Bank on the US$187 million term loan facilities for Prometheon Enterprise. 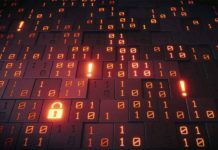 It also picked up work in the area of compliance, advising Tata Consultancy Services on its General Data Protection Regulation compliance programme. Daniel Sharma, who lectures on Indian business law at the University of Applied Sciences in Graz, Austria, chairs the firm’s global India group. Eversheds Sutherland’s client roster consists of companies such as Axis Bank, Essar Energy, Flemingo Duty Free, Kalpataru Power, Mahindra & Mahindra, Polaris Software, Sequoia Capita, Tata Chemicals and Wipro. The firm is currently: supporting a major US university on its entry into India; advising QuEST Global on mandates in the US, Europe and Africa; and handling a Foreign Corrupt Practices Act investigation that requires an active presence on the ground in India for one of its global clients. “We generally reach out to Eversheds Sutherlands when we are looking at legal advice for our clients in multiple jurisdictions – they have a good network … and manage the project well for our clients,” says Darshika Kothari, a senior partner at AZB & Partners. Another client, Vijayshyam Acharya, global head of legal and company secretary at QuEST Global, says the firm’s “speed of response is amazing, as well as the ability to link us up to the right counsel”. Parmjit Singh leads the India group from London. Gibson Dunn & Crutcher’s deep transactional experience helps it score a string of solid assignments for both Indian clients and international businesses with Indian interests. Financial institutions, private equity investors, multinational corporations and public sector entities seek its counsel across sectors including manufacturing, IT, retail and infrastructure. Colfax Corporation hired the firm for guidance on its acquisition of EWAC Alloys – an India-based subsidiary of Larsen & Toubro – by its subsidiary ESAB Holdings. IndiGo sought the firm’s advice in connection with the acquisition and leasing of aircraft, as well as on anti-corruption legislation and US customs and export control-related regulations. The firm is also representing the Punj Lloyd group on the restructuring of its businesses in Singapore, and representing Goldman Sachs on its equity investment in Tikona Digital Networks, a wireless broadband service provider operating exclusively in India, in relation to an acquisition by Bharti Airtel. Jai Pathak, partner-in-charge of the firm’s Singapore office and the Asia-Pacific region, is a key contact for India matters. US law firm Morrison & Foerster operates its successful India practice primarily from Hong Kong, Singapore and Tokyo under the leadership of Amit Kataria. The firm is currently advising on follow-on M&A work after completing a US$1.3 billion joint venture deal between IndoSpace Core, India’s largest developer of modern industrial and logistics real estate, and Canada Pension Plan Investment Board. It is also working for loyal client Softbank on the merger of its portfolio company Locon Solutions, its investment in Paytm – India’s largest digital payments and e-commerce startup – and its series D financing round for Oravel Stays. Ciber, a global IT consulting services and outsourcing business, sought the firm’s advice on the acquisition of its North American and India operations by HTC Global for US$98 million. 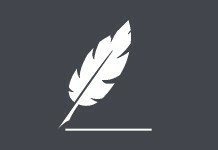 The firm also advises multinational companies and individuals facing potential government investigations and criminal charges in India regarding the strategy to obtain the most favourable outcome with minimal reputational damage, and provides guidance on disputes arising from government actions, intellectual property issues, joint ventures and shareholders’ agreements. Reed Smith is best known for its dispute resolution capabilities. Under Gautam Bhattacharyya and Ranajoy Basu the firm is representing ICICI Bank on both contentious and non-contentious matters in a dispute before the English High Court with three Indian companies – part of the GVK Group – regarding a US$1.2 billion facility agreement. The firm was also engaged to advise an Indian pharmaceutical company in two Singapore arbitrations arising from two agreements governed by English and Singapore law, and was recently successful in representing Barclays Bank in English High Court litigation against a Dutch company and its Indian parent company. On the non-contentious side, the firm advised Highmark on opening its first operating subsidiary, Thryve Digital Health, in India, and acted for Bank of India on English law aspects regarding a US$1.08 billion financing for Sterling Global Oil Resources. The team has worked on financial inclusion projects in India, including the Educate Girls Impact Bond, and has advised an NGO in relation to structuring an innovative financial solution to fund the education of children in Rajasthan. Slaughter and May’s India practice has served a number of marquee clients such as Cairn India, Corus Group, Standard Chartered Bank, Reliance Industries, Indiabulls Real Estate and Vodafone. The Tata Group turned to the firm on two occasions recently. The firm advised Tata Steel on its 50/50 joint venture with ThyssenKrupp to create a leading European steel enterprise by combining the flat steel businesses of the two companies in Europe and the steel mill services of the ThyssenKrupp group. It then went on to advise on the UK’s largest pension scheme restructuring to date, which involves Tata Steel offloading the £15 billion British Steel Pension Scheme. More recently, the firm acted for Vodafone on the proposed merger of Bharti Infratel and Indus Towers to create a pan-Indian tower company with more than 163,000 towers and a pro forma equity value of US$14.6 billion, which will be the largest of its kind outside China. Simon Hall, Nilufer von Bismarck and Jason Webber are key India contacts. With 31 lawyers spread across nine offices, Stephenson Harwood offers India-focused clients a full-service offering with particular strengths in arbitration, aviation, dispute resolution, finance (including banking disputes), M&A (including pharmaceuticals) and shipping. The firm is acting for an Indian steel manufacturer in connection with a dispute relating to the supply of steel. The buyer has brought a claim for non-delivery under the contract before the Hong Kong International Arbitration Centre and the steel manufacturer has a counterclaim against the buyer. It is also counsel to Indian real estate developer Unitech, and its indirect subsidiary UGL, in a dispute with Deutsche Bank and other syndicated lenders. Unitech is defending against claims relating to a credit agreement and a swap with Deutsche Bank. On the transactional side, it is assisting multiple sellers on the sale of all of their shares in Chemopharm, a provider of products and services to laboratory, research and medical facilities across Southeast Asia, to Everstone Capital Asia. Kamal Shah, Rovine Chandrasekaran, Nijoe Joseph, George Cyriac, Priya Grigoriadis and Vivek Kapoor are India specialists. Addleshaw Goddard’s India business group is led by Mike Duggan and Richard Wise in London, Jamie Harrison in Singapore, and recently promoted partner Paul Hughes in Dubai. The practice recently welcomed two new India-qualified associates to its team – Madhu Aravamuthan, who joined the London office as an associate in the real estate finance team, and Nikhil Chary, who joined as a managing associate in the corporate department. The firm is acting for CDC Group on its joint venture with Manipal, an Indian education and healthcare business, to invest approximately ₹5.35 billion in businesses specializing in medical diagnostics products in Africa. It is also representing an Indian mineral exporter in a long-running ICC arbitration and related Commercial Court proceedings; advising on a 50/50 joint venture for an Indian retailer and international brand owner in Oman; and acting for the London subsidiary of an Indian bank on refinancing the acquisition of a portfolio of properties in Brighton. Covington & Burling’s lawyers have worked on India-related matters for more than 15 years, drawing in an enviable list of clients. The firm recently advised Reliance Industries on a number of matters including the combination of its digital music business, JioMusic, with Saavn Media, a global music app. It assisted Reliance with extensive intellectual property, data privacy and other diligence support in relation to the acquisition of a 72.69% stake in Indiavidual Learning, an artificial intelligence-based education platform, and represented the company on the acquisition of a 5% stake in film entertainment company Eros International. It also defended OmniActive Health Technologies against a claim that the company had engaged in deceptive advertising and trade practices with respect to one of its products. Clients benefit from access to the global perspective of former World Economic Forum managing director Claude Smadja of Smadja & Smadja, who has about 40 years of experience in Asia, especially on India and China, and serves as a senior international adviser to the firm. Cravath Swaine & Moore works with Indian companies on international capital markets transactions, M&A, joint ventures, litigation and arbitrations, investigations and US-related compliance and reporting. In the past, Cravath has collaborated with other firms on equity transactions in India involving Genpact, HDFC Bank and Tractors and Farm Equipment, among others, while also acting as issuer’s or underwriters’ counsel on a number of Indian equity offerings and IPOs including Aptech, Fortis Healthcare, Genpact, HDFC Bank, Infrastructure Development Finance Company, NTPC and Silverline Technologies. Last year, the firm was an adviser on WestRock’s US$2.28 billion acquisition of Multi Packaging Solutions International. WestRock has been doing business in India for more than 20 years and has a paper mill in Morai, a manufacturing facility in Pune, and a corporate office in Mumbai serving brand owners across consumer markets including healthcare, beauty, personal care and beverages. Debevoise & Plimpton is a frontrunner for dispute resolution under the leadership of Peter Goldsmith QC, co-managing partner and chair of European and Asian litigation. Geoffrey Burgess is also a key India contact with expertise in M&A, private equity, aviation and finance. The firm has advised Indian clients on a variety of matters and transactions in industries such as pharmaceuticals, healthcare, entertainment, energy and telecommunications. Last year, Goldsmith was part of a case involving McDonald’s India, which had approached Delhi High Court regarding the enforcement of a partial award granted in its favour by the London Court of International Arbitration. The dispute relates to the termination of a joint venture between McDonald’s India and the Vikram Bakshi-owned Connaught Plaza Restaurants over non-payment of royalties. McDonald’s is looking to value and sell Bakshi’s stake in the fast-food franchise in the north and east of India. Private equity powerhouse Goodwin Procter continues to rake in business through longstanding relationships and a solid reputation. Adam Hornung, general counsel at Hillhouse Capital in Hong Kong, has worked with the firm for nearly six years and says it is “head and shoulders above everyone else in the Hong Kong market for providing India advice”. Hornung also uses the firm for non-Indian legal advice. The firm recently: advised Delos Capital in its leveraged buyout of Sage Metals, a manufacturer of specialty metal products; acted for DST Global in connection with its investment in Flipkart; represented Falcon Edge Capital in connection with its investment in Zomato, and its purchase of shares of the National Stock Exchange of India; and advised Saama Capital on raising Saama IV, a US$100 million India-focused venture capital fund. Yash Rana is a key contact. The India team at Hogan Lovells is spread across Singapore, Hong Kong, Dubai, London and Washington DC, and works to develop infrastructure projects, raise capital, restructure businesses and resolve disputes and intellectual property issues. Alexander McMyn, Andy Ferris and Ajay Kuntamukkala are primary India contacts. Early this year, the firm advised BASF on combining its paper and water chemicals business with US specialty chemical company Solenis. BASF has locations in Bradford and Grimsby in the UK, Suffolk in the US, Altamira in Mexico, Ankleshwar in India and Kwinana in Australia. The firm was also lead transaction counsel to PayPal on the US$125 million investment round in Pine Labs, India’s largest retail payment platform, together with the sovereign investment fund of the Singapore government. A few months ago, the firm scored a role as international legal counsel to Walmart on its acquisition of a majority stake in Flipkart for US$16 billion – the largest e-commerce acquisition in the world. Partners Rick Climan, Stephanie Keen and Chris Moore were involved. Kelley Drye & Warren’s India practice focuses on commercial litigation and arbitration, cross-border joint ventures and M&A, intellectual property, private equity, international tax planning, regulatory compliance, IT contracts and technology. In the past 12 months, the firm has advised Wockhardt in defence against multiple suits alleging that the company caused US state Medicaid agencies to overpay for prescription drugs by posting fraudulent prices. It represented an Indian multinational company on its Occupational Safety and Health Administration compliance audit, and provided guidelines to Tata Advanced Systems regarding an Indian joint venture corporate deal in the defence industry on compliance with US regulations relating to international trade in arms and on the Defence Federal Acquisition Regulation Supplement. The firm successfully had a case dismissed for an India-based integrated pharmaceutical company in a putative class action alleging claims under Pennsylvania’s Unfair Trade Practices and Consumer Protection Law, Pennsylvania common law, and the consumer protection laws of 48 additional states and two territories. Talat Ansari and Deepak Nambiar are experienced India hands. Because of its traditional strength in insurance, Kennedys is often perceived as a firm that offers niche legal advice to Indian clients. This view is bolstered by Kennedys’ partnership since 2000 with Indian insurance boutique Tuli & Co, and its transatlantic merger last June with Carroll McNutty & Kull, an insurance law firm in the US. But while insurance remains a core speciality, the firm has also proved it can assist on other assignments. For example, it assisted a new startup airline in India on the acquisition of various aircraft and engine parts. It advised Indian banks in the UK on financing, security and structured finance matters, and helped an Indian family-owned conglomerate on the development of a historic site into one of Europe’s largest hotel and residential projects, worth £1 billion. The firm recently advised an Indian e-commerce company and an Indian life insurance company on the setting up of subsidiaries in the UAE. 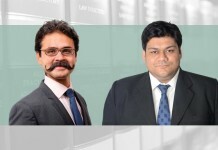 Rima Sengupta, Anand Singh and Rishi Sengupta are go-to lawyers. Atlanta-based corporate partner Rahul Patel spearheads the India practice at King & Spalding. The firm took its fair share of transactional and disputes work this year for clients such as UPS, Aditya Birla Group and Asia Development Bank. John Savage represented two companies of the Malaysian media group Astro in two UN Commission on International Trade Law (UNCITRAL) arbitrations against the government of India under India’s bilateral investment treaties with Mauritius and the UK. The dispute relates to Astro’s investment in the satellite television sector in India. In a separate matter, Tom Sprange QC and Sajid Ahmed acted for Reliance Industries in a New Delhi arbitration under the UNCITRAL rules relating to cost recovery issues under a production sharing contract with the Indian government where BP Exploration (Alpha) and Niko (Neco) are co-claimants. The firm also represented Japanese conglomerate Mitsui OSK Lines on its agreements with Swan LNG for an LNG terminal to be developed and operational in Gujarat by 2020. Kirkland & Ellis may have scored fewer deals than some of its rivals, but it certainly delivers on value. Last November, the firm advised affiliates of Bain Capital on their proposed investment of more than US$1 billion in Axis Bank, in one of the largest private equity investments in the Indian banking sector to date. This year, Blackstone called upon the firm for advice on its US$1.5 billion purchase of a 50% stake in Indiabulls Real Estate subsidiaries Indiabulls Properties and Indiabulls Real Estate Company. The firm was also counsel to funds advised by Apax Partners on its acquisition of a controlling stake in Healthium MedTech, an India-based medical devices company. Healthium provides products to more than 10,000 hospitals in India, exports to more than 50 countries globally and has a significant presence in the urology market in the UK through its Clinisupplies division. Last August, the firm welcomed private equity and funds specialist Anand Damodaran as a partner in its London office. Damodaran moved to the firm from Ropes & Gray. Milbank made its mark after devouring roles on meaty capital markets deals throughout the past 12 months. Last year, the firm assisted the joint global coordinators in a proposed debut issuance of US dollar denominated high-yield bonds by GMR Hyderabad International Airport, offered and sold in accordance with Rule 144A and Regulation S. It also represented the underwriters on SBI Life Insurance’s US$1.3 billion IPO of 120 million equity shares. It began 2018 with a bang, by assisting Tata Steel on its offering of US$1 million in 5.45% notes due in 2028, and US$300 million in 4.45% notes due in 2023. In February, the firm was counsel to the bookrunning lead managers in the qualified institutional placement of equity shares by Jindal Steel & Power. Partners Naomi Ishikawa in Singapore and James Grandolfo in Hong Kong co-head the India practice. London-based partner John Dewar is also active on the India front. Morgan Lewis & Bockius makes an appearance in our significant player list following a triumphant year representing India-focused companies. Last year, it was counsel to eBay in its purchase of US$500 million series I preferred stock of Flipkart – one of India Business Law Journal’s Deals of the Year 2017. It also represented eBay on the sale of eBay India to Flipkart for additional series I preferred stock, as well as on certain licence agreements, commercial agreements and transitional services agreements. The firm went on to act for the joint bookrunners as Singapore counsel in Marble II’s issuance of US$500 million in 5.3% senior notes due in 2022. Marble II owns a 60.45% stake in Mphasis, a Bengaluru-based IT company listed on the Bombay Stock Exchange. More recently, it advised Emerald Media on its investment in the Techfront Group, a global sports technology and management company with significant operations in India, Australia, New Zealand and Pakistan. Ropes & Gray litigation and enforcement partners Ruchit Patel and Andy Dale, business restructuring partner Daniel Anderson and healthcare partner Mark Barnes lead the firm’s cross-practice work for India-focused clients. Last year, the firm advised private equity firm Kohlberg Kravis Roberts on its US$200 million investment for a 49% stake in Radiant Life Care. It also acted as international counsel to Google on a six-year abuse of dominance investigation conducted by the Competition Commission of India into the company, regarding search and advertising within India. This year, the firm was counsel to Ensono, a hybrid IT services provider, on its US$405 million purchase of Wipro’s hosted data centre services business. The deal saw Wipro transfer eight data centres and more than 900 employees to Ensono. The Ropes & Gray team from London was led by private equity partner Phil Sanderson, with assistance from senior attorney Sonal Patel and associates Karla Agulgub and Folake Fani-Kayode. Sheppard Mullin Richter & Hampton has been the legal adviser of choice in the US for a number of Indian companies such as Tata Consultancy Services, Tech Mahindra and WNS Global. Last year, L&T Technology Services retained the firm for advice on a nationwide basis on employment law issues and employment litigation. 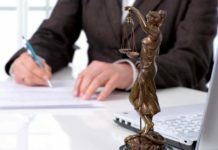 In February and March this year, it was successful in a motion for summary judgment in connection with a claim of age and national origin discrimination and a wage-and-hour class action matter involving Tata Consultancy Services. It also took on roles as counsel to Majesco on its qualified institutional placement of securities in India, and legal adviser to ExlService Holdings on its acquisition of SCIOInspire Holdings for US$240 million. “I highly recommend them for their expertise and client-centric approach,” says Navroze Palekar, general manager of legal at WNS. The arrival of Valerie Demont, former chair of the US-India practice at Pepper Hamilton, is an added boost to the India team. Simpson Thacher & Bartlett enjoys a solid reputation in the market for its private equity prowess. 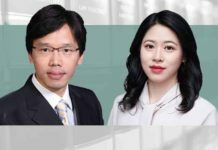 Ian Ho, Erik Wang, Rajib Chanda and Christopher Healey were counsel to Kohlberg Kravis Roberts (KKR) in its additional investment in Avendus Capital, a financial services provider in India. The deal follows on from KKR’s acquisition of a majority stake in Avendus Capital in 2015, where Simpson Thacher was also an adviser. KKR relied on the firm again when it forked out US$200 million for a 49% stake in Radiant Life Care, which develops and operates high-end, state-of-the-art quaternary care facilities in India. In addition, it acted for JPMorgan Chase Bank as the administrative agent for the first lien revolving lenders in the Chapter 11 bankruptcy cases of Paragon Offshore and various subsidiaries. The confirmed plan provided for the: (1) elimination of approximately US$2.3 billion of debt; (2) elimination of US$58 million in annual cash interest expense; and (3) framework to right-size the ongoing business with a focus on core operating areas in the North Sea, Middle East and India. The India practice at Skadden Arps Slate Meagher & Flom covers the core areas of corporate practice, energy and infrastructure, M&A and outsourcing. Equis Funds Group sought the firm’s advice when it sold Equis Energy (Singapore) for US$5 billion to Global Infrastructure Partners and co-investors in the largest renewable energy acquisition in history. Equis Funds Group is the largest renewable energy independent power producer in Asia-Pacific with operations across Australia, India, Indonesia, Japan, the Philippines and Thailand. The firm went on to advise Citigroup on the sale of the customer portfolio of its merchant acquiring business in 11 Asia-Pacific markets, including India, to Wirecard. It also assisted Varuna Investments on the restructuring and sale of Asian Genco’s interest in Teesta Urja, a hydropower project in India, and acted for Times Internet in its acquisition of 59% of MX Media, a multimedia technology company with operations in China and South Korea. Partners Rajiv Duggal and Jonathan Stone lead the India team. Key members of Watson Farley & Williams’ India team sit in London, Singapore and Dubai – popular focal points from which to attract India-related mandates. The firm’s experience in energy won it a plum assignment as adviser to Lightsource Renewable Energy on its agreement to enter into a partnership with UK Climate Investments to fund the development, acquisition and ownership of large-scale solar power generation assets in India, together with offshore elements of the equity and debt financing of a 60MWp seed project in Maharashtra. The firm’s expertise in the transport sector meanwhile gave it an opportunity to advise InterGlobe Aviation on two A320 aircraft leases in connection with their novation from Investec-managed leasing funds to funds managed by Oaktree Capital Management, and separately, operating leases from a German operator for four new A320 aircraft. It also worked alongside Indian firm DSK Legal as counsel to a selling entity of Gaja Capital on the New York law aspects of Sazerac Company’s acquisition of a 28% stake in Indian liquor company John Distilleries. Singaporean law firm Allen & Gledhill is a popular choice for Indian clients seeking guidance on Asian expansion. Bengaluru-based online business-to-business e-commerce platform Udaan consulted the firm on a US$50 million series B funding round led by Apoletto, the personal investment vehicle of Russian billionaire and DST Global founder Yuri Milner. Lightspeed Venture Partners US and Lightspeed India also participated in the funding. The firm later secured a role in advising Indiabulls Real Estate on its acquisition of Indiabulls Properties Investment Trust, a Singapore Stock Exchange-listed business trust. In May, it was Singapore counsel to Flipkart on its sale of a majority stake worth US$16 billion to Walmart. Ankit Goyal, a foreign law partner, has substantial India experience with three years as head of South Asia and counsel at the Singapore International Arbitration Centre (SIAC) where he supervised the administration of about 150 arbitrations. He also led the establishment of SIAC’s representative office in Mumbai and worked to expand the use of arbitration among international and domestic companies in India. Al Tamimi & Co is well positioned to cater to Indian clients with business interests in the Middle East. The firm has offices in the UAE, Bahrain, Egypt, Iraq, Jordan, Kuwait, Oman, Qatar and Saudi Arabia. On the capital markets front, the firm was counsel to Aster DM Healthcare in relation to its share offer to investors in India and to US-qualified institutional buyers, as well as the listing of its shares in India. Al Tamimi’s lawyers in eight countries across 11 specialist practice areas worked to coordinate with government officials and companies in order to render advice under a number of legal and regulatory regimes. On the M&A front, the firm conducted due diligence of the UAE facilities of the Positive Packaging Group, a flexible packaging company with nine manufacturing facilities across India, the UAE and Africa, prior to its acquisition by the Huhtamaki group. The firm also conducted due diligence on Larsen & Toubro’s electrical and automation division in the UAE, Kuwait and Saudi Arabia, prior to the purchase of these entities by Eaton Corporation. With a geographical reach spanning Kenya, Uganda, Tanzania and South Africa, Bowmans offers Indian clients a great starting point from which to penetrate some of Africa’s most important markets. Online classifieds business OLX reached out to the firm for help in dealing with copyright and trademark infringement in Kenya and India. In India, the firm was able to track down online website Pigiame and issue the relevant demands to stop the infringement. It also represented Godrej in relation to securing pest control product registration in Kenya and Tanzania; advised Cipla in ongoing searches and filing of multiple trademark applications in Kenya, as well as the registration of about 50 marks in Algeria; and assisted Bengaluru-based Orb Energy with searches and registration of trademarks in Kenya. This year, the firm advised Mahindra & Mahindra on the tax aspects of the launch of its holiday membership system in Kenya through its brand Club Mahindra. Despite being the youngest law firm in the regional & specialist (worldwide) category, Collyer Law is making great strides in the India-Singapore corridor. Its accomplishments since April 2017 include advising Healthifyme, a Singapore-based Indian technology company that develops health-related software platforms, on its US$12 million series B funding from several funds. It also advised Rynan Technologies in relation to its joint venture in India for inkjet coding and sales of Rynan branded thermal inkjet printers and ink technology. The firm acted for one of the world’s largest cryptocurrency companies on the launch of its India operations, and represented the Dhunseri group, a Kolkata-based Indian conglomerate, on its proposed acquisition of a popular food and beverage business in Singapore. On the contentious side, the firm was counsel to a company based in Bengaluru on a claim for intellectual property rights violation by its joint venture partner, based in China and Poland. It also assisted an Indian cashew nut trading company and its promoters on a dispute with its European joint venture partner in Singapore. Drew & Napier specializes in dispute resolution, funds and M&A work. Although it operates mainly from Singapore, the firm also has an Indonesia desk and has advised Indian clients on their investments, joint ventures, acquisitions and disputes in Indonesia in sectors such as shipping, infrastructure, energy, finance and entertainment. The firm represented Cargill in relation to its claim against Singapore-listed Mercator Lines, a subsidiary of Indian company Mercator, which had debts of about S$248 million (US$181.2 million). It was also counsel to CIMB Investment Bank as agent for a syndicate of lenders comprising Nomura Special investments Singapore, Export-Import Bank of India (London), and Chailease Finance on a US$45 million syndicated loan facility for Punj Lloyd. “The team is very professional, works under minimal guidance and is very smooth on timelines,” says Harshvardhan Sethi, director of SPML Infra in Kolkata. Sethi recommends Jimmy Yim SC, whose “experience, knowledge and strategy is supreme and unparalleled”. Consultant Leena Pinsler has been appointed as a director of two Indian companies – Information Technology Park and Ascendas IT Park in Chennai. Duane Morris & Selvam is a frontrunner for capital markets transactions, but the firm has also developed respectable corporate and dispute resolution offerings. Jamie Benson and Babita Ambekar are primary contacts. Through Selvam LLC, the firm has acted on Singapore litigation matters for Indian parties and multinationals with Indian interests. Key achievements include advising India’s Ministry of Housing and Urban Poverty Alleviation, as well as the Housing and Urban Development Corporation (HUDCO) on the ministry’s sale of 10.19% of the outstanding shares in HUDCO in an IPO in India and concurrent placements outside India. The firm was also sole international counsel on Fine Organic Industries’ IPO in India. In addition, it advised Mindtree on regional employment matters involving Japan, Singapore and Malaysia, and continues to advise Cadila Healthcare on its market entry in Myanmar and ancillary issues. Priyank Srivastava joined the firm’s Myanmar office in April from Allen & Gledhill. He has more than 10 years of experience advising Indian companies in the energy and infrastructure sector and has held in-house roles during this period. Elias Neocleous & Co is the largest law firm in Cyprus and has advised a host of businesses using the country as a gateway into and out of India. In the past 12 months, the firm worked with an Indian law firm, tax consultants and a custodian bank to provide legal assistance to a Scandinavian corporate client to secure qualified foreign investor status. It also offered tax advice to a corporate client in collaboration with an Indian law firm on whether it would be advantageous to have a Cyprus entity as an intermediate company, given the recent amendments made to Indian treaties with Cyprus. Last October, the firm won a role on the US$12.9 billion purchase of Mumbai-based Essar Oil by a consortium including Trafigura, one of the largest physical commodities trading groups in the world; UCP Investment Group, an independent private investment group; and Rosneft, the leader of Russia’s petroleum industry. The firm advised the Trafigura-UCP consortium; Kesani Enterprises, the Cyprus company through which the acquisition was made; and Kesani Holdings, its holding company, on the Cyprus law aspects of the transaction. UK law firm Fladgate assists Indian companies and high net worth individuals (HNWIs) on corporate and commercial deals, real estate transactions, and dispute resolution and arbitration matters. Recently the firm advised Flyington Freightors in proceedings relating to non-delivery of freight airlines by a supplier and provided expert evidence on English law on behalf of Citicorp International in proceedings in Bombay High Court relating to foreign currency convertible bonds issued by GTL Infrastructure. On the corporate side, the firm represented the owners of the Taj Dubai hotel on the refinancing of an institutional loan and a mezzanine loan, and represented the owners of Bombay Bustle and Jamavar, two high-end Indian restaurants in London. The firm’s solid reputation among HNWIs won it roles as adviser to an Indian family on its debt and equity investment in Meraki Restaurant, a Mediterranean-style restaurant in London, and other Indian families on tax structures for their business investments as they seek to move overseas. Sunil Sheth, Mythily Katsaris and Mark Buckley are key members of the India practice. Indian companies keen to explore business opportunities in Germany and elsewhere in Europe often call upon the expertise of Hengeler Mueller. The firm’s strengths lie in corporate and M&A law, labour law, dispute resolution and arbitration, intellectual property and regulatory matters. Primary contacts are Daniela Favoccia and Rainer Krause, who specialize in M&A, and Carsten van de Sande, whose core areas of focus are litigation, intellectual property and IT. Abhijit Narayan, an India-qualified associate, is also a key member of the team. Tata Steel sought the firm’s assistance for its 50/50 joint venture with ThyssenKrupp, while Tata Industries engaged it for advice on divesting Tata Interactive Systems in Germany. The firm also acted for an Indian pharmaceutical company on the proposed acquisition of a European generics business. On the contentious side, it took on a case for an Indian conglomerate on a dispute regarding an agreement to provide aircraft parts involving a German company, and represented an Indian pharmaceutical company on legal proceedings against a classification by the German Customs Office. 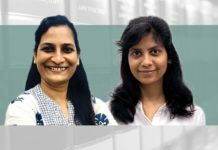 The India practice at Japanese law firm Mori Hamada & Matsumoto is steered by partners Chisako Takaya, Yohei Koyama and Kenichi Sekiguchi who have all been seconded to large Indian law firms and play key roles in ongoing Indian matters. Last year, the firm represented Takasago Thermal Engineering in becoming a majority shareholder in Integrated Cleanroom Technologies through a further acquisition of shares. The deal boosts Takasago’s voting power in Integrated Cleanroom Technologies from 32.5% to 60%. The firm also advised Japanese listed company Topy Industries on its joint venture with Wheels India, a TVS Group company. Topy, which manufactures steel wheels for cars, trucks, construction and mining equipment in Japan, the US, China and Mexico, acquired a 26% stake in Wheels India Car Wheels. The firm benefits from a Singapore office and an India-qualified lawyer, Pavitra Iyer, who worked previously at AZB & Partners. The past 12 months were busy for full-service Singaporean law firm Shook Lin & Bok as it represented clients on matters involving Indian entities. The firm, which celebrates its 100th anniversary this year, recently acted for logistics provider TVS Asianics in its purchase of Pan Asia Logistics’ freight forwarding and contract logistics businesses. The deal enhances TVS Asianics’ presence across Asia including in India. The firm also represented a private sector bank in India on a ₹550 million term loan facility granted to its wind energy special purpose vehicle of an India-based renewable energy player. On the contentious side, the firm is acting for a creditor on an insolvency for oil and gas operator Swiber, one of the largest corporate insolvencies in Singapore. Swiber has operations around the world including in India where it has projects with state-owned Oil and Natural Gas Corporation. In addition, it is acting for an Indian cooperative in an arbitration involving a US$75 million claim against a US-listed company and one of its shareholders, both domiciled in Australia. Aditi Mathur heads the firm’s India practice. TLT has cemented its reputation in the financial services field and shares strong relationships with a number of leading Indian banks. In a prominent case recently, TLT acted for 13 Indian banks in successfully defeating two applications by Indian businessman Vijay Mallya following the collapse of Kingfisher Airlines. The first application was to set aside the first recorded case of a judgment by a debt recovery tribunal in India being registered by the English High Court. The second was an application to discharge an associated worldwide freezing order. TLT also acted for the banks last November to secure the registration and freezing order. The firm is also taking enforcement action against borrowers and guarantors (subsidiary companies of the Binani Group) under two multimillion-dollar loan facilities on behalf of Bank of Baroda; advising the London branch of an Indian public sector bank (PSB) on the global restructuring of an Indian engineering company; and acting for the London branch of a PSB on the enhancement and variation of facilities for an Ethiopian roads project. Akin Gump Strauss Hauer & Feld offers advice on a broad range of practice areas including cross-border M&A, joint ventures, capital markets, international trade and infrastructure. The firm’s India group focuses particularly on representing funds investing in India on their fund structuring and transactional work. Connecticut-based Affinion Group, which provides customer engagement and loyalty programmes, turned to the firm when it acquired its Pune-based technology partner, Tavisca, a travel technology company that helps companies expand their online travel solutions. Divya Thakur and Prakash Mehta are key members of the India team. Bryan Cave Leighton Paisner was formed in April this year following the merger of Bryan Cave and Berwin Leighton Paisner. The merged firm, led by co-chairs Therese Pritchard and Lisa Mayhew, is among the largest in the world with 1,600 lawyers working across 32 offices in 11 countries. Prior to the merger, both firms operated India desks and advised on a range of matters in various industries. The firm has assisted an automotive client on a 10-year joint venture agreement for the manufacture, sale and distribution of automotive products in Mumbai. It has conducted Foreign Corrupt Practices Act investigations for Indian clients, and advised bidders on the development of power projects in India. Deepa Deb chairs the firm’s India group. Last October Clyde & Co was US and international adviser to General Insurance Corporation of India on its US$1.75 billion IPO – one of the largest IPOs in Asia in 2017. John Chrisman, a primary contact for India work, led the advisory team. Chrisman has advised on more than 150 India-related capital markets transactions since 1993. His client list includes Yes Bank, Power Finance Corporation, Thyrocare Technologies, Tata Consultancy Services, Bharti Televentures and Patni Computer Systems. Clyde & Co had a best-friends alliance with Indian firm Clasis Law since 2011 but the recent departure of a number of lawyers from Clasis saw the quiet end of this arrangement. Sumeet Lall, a former partner at Clasis, recently launched his own firm, CSL Chambers in New Delhi, with which Clyde & Co now has an association. Dechert’s India team is particularly active in M&A and other corporate matters, fund formation work, and in government and internal investigations. Both the Mahindra Group and the Aditya Birla Group recently added the firm to their panel of legal advisers. Highlights of this year include representing Indian biopharmaceutical company Biocon in negotiations for a global collaboration agreement with Sandoz, a Novartis division, to develop, manufacture and commercialize multiple biosimilars in immunology and oncology for patients worldwide. The firm was also global legal adviser to Albéa shareholders on the US$1.5 billion sale of the Albéa group to PAI Partners, a Paris-based private equity firm, by an affiliate of Sun European Partners, the European adviser to Florida-based private equity firm Sun Capital Partners. Albéa manufactures plastic packaging products for the beauty and personal care market from 38 sites in Europe, the Americas and Asia, including India. Dentons added to its India credentials this year after advising on a US$291.4 million qualified institutional placement follow-on share offering by Housing Development Finance Corporation (HDFC). Last November, Amity University Dubai awarded Wendela Raas, the Netherlands managing partner at Dentons Boekel, an honorary professorship in recognition of her competence in real estate law. As part of her appointment, she will give guest lectures on real estate at the university’s faculty of law. Amity has 10 campus locations in India and eight international locations in Abu Dhabi, Dubai, London, China, Mauritius, Romania, Singapore and South Africa. Dentons has India desks in Singapore and Warsaw, and an arrangement with an independent firm practising in India, but has not disclosed details of this partnership. Partners Ross Docksey in Chicago and Martin Kitchen in London are key contacts. Kobre & Kim is devoted entirely to disputes and investigations. The firm served as co-counsel to a Hong Kong-based American investment management firm relating to its position in a US$250 million Indian investment. The firm also acted for an Indian director in relation to his potential tax exposure in a Hong Kong-based consumer goods company, which currently involves legal proceedings with the Indian tax authorities. Vasu Muthyala, a specialist on India-related matters, was invited by General Electric to offer a dedicated module at the Indian School of Business Compliance Management Programme in Hyderabad for compliance professionals. Muthyala focused on global and Indian anti-corruption laws, their applicability to companies in India, as well as the tools and framework that companies should implement for compliance with these laws. Full-service Brazilian law firm Levy & Salomao assisted Novelis with negotiations and compliance related to an international credit agreement involving Brazilian, American and Indian parties. It advised on the refinancing of a US$1.8 billion syndicated term loan and separately on a US$1 billion debt restructuring. “Levy Salomao provides excellent services and legal consulting support to us,” says Thiago Ayoub, legal counsel at Novelis. “They have excellent knowledge on financial and legal matters and are extremely fast and assertive in their work.” Ayoub recommends Luiz Assis and Fabio Kupfermann for their “knowledge, agility and capacity to work with international law firms involved in global negotiations”. Pennington Manches’ India group offers Indian clients assistance with legal advice on business setups in the UK, immigration, employment, international private wealth and capital, international family law, international tax structuring, corporate and commercial matters and dispute resolution. The firm represented Mumbai-based Wadhawan Global Capital, the family office of the Wadhawan Group of companies, on its first transaction in the UK alternative finance market, an investment of £33 million in UK peer-to-peer lender Zopa. Phillip D’Costa, Teja Picton-Howell, Pat Saini, Joanne Vengadesan and Rustam Dubash are India specialists. Pinsent Masons has an excellent track record advising on some of the largest and most complex India-related infrastructure projects under the leadership of Martin Harman. Harman, the former India chair at the firm, was recently appointed chair of international business at Indian firm Link Legal India Law Services to assist on global brand building and improve internal processes. This year, Pinsent Masons was counsel to the Indo-UK Institute of Health on the development of its Medicity project in Amaravati, the new state capital of Andhra Pradesh. The £100 million collaboration will create 11 “Medicities” across India with a capacity of 11,000 beds and 5,000 doctors. King’s College Hospital NHS Foundation Trust is a key partner and will extend its name to the first Medicity, and play a role in its management. The Indian desk at Uría Menéndez has acted for international clients investing in India as well as Indian clients on their investments and projects across Spain, Portugal and Latin America. The firm recently advised Sócrates Holdings (Magnum Capital Industrial Partners) on the sale of Sócrates Schools, the parent company of the NACE Group, which operates schools in India and a number of European countries. In addition, it was counsel to Spanish private equity firm Miura Private Equity on the sale of GH Induction Group to ParkOhio Holdings. GH Induction Group supplies heating equipment to the automotive, cable, aerospace and medical sector, and has subsidiaries in India and several other countries. Axis Bank, Bank of India, Bank of Baroda, and Havells are also clients. Walkers advises on the laws of Bermuda, the British Virgin Islands, Cayman Islands, Guernsey, Ireland and Jersey. The firm was an adviser on a US$38.5 million fundraising into online furniture and home marketplace retailer Pepperfry by US-based asset management company State Street Global Advisers. State Street joins existing investors Norwest Venture Partners, Goldman Sachs, Bertelsmann India Investments and Zodius Capital. Jack Boldarin, John Rogers and Jasmine Amaria are key contacts for India. White & Case has handled India matters for several years, attracting high-profile clients such as GMR Group, Merck & Co, Jubilant Pharma, Starwood Capital and ICICI Bank. Last October, the firm expanded its international arbitration practice in Asia-Pacific with the addition of Max Bonnell from King & Wood Mallesons as a new partner in Sydney. Bonnell focuses on international arbitration and commercial litigation, advising clients across multiple jurisdictions in telecoms, mining, energy, financial services, engineering and computer software. He has also handled more than a dozen arbitrations arising from disputes in India. New York-based partner Nandan Nelivigi heads the firm’s global India practice. The India desk at Canadian firm Blakes consists of lawyers born, educated and called to the bar in Canada, India, Bahrain and Saudi Arabia, as well as lawyers with experience working with Indian and Canadian companies on their respective investments. The firm is acting for Midad Chemicals, the energy arm of the Al Fozan Group, on a licensing arrangement with an Indian counterparty to license technology and build a Saudi manufacturing facility to supply chemicals for the oilfield services sector. Sunny Handa and Robert Granatstein are primary contacts at the firm. Kam Rathee is a special adviser for India and offers the firm a broad network of relationships in India and Canada. ENSAfrica’s India practice group has many years of experience in facilitating the entry and expansion of Indian companies on the African continent and assisting with investment by African companies into India. The firm was recently counsel to Dabur’s South African subsidiary on the acquisition of D&A Cosmetics and Atlanta Body and Health Products. Both companies operate the brand Long & Lasting, which offers a range of haircare products to African consumers. The firm also advised WNS Global Services on completing a Black Economic Empowerment ownership transaction where 10% of WNS South Africa was sold for US$5.6 million to a trust for the benefit of black employees. Japanese firm Hayabusa Asuka Law Offices is located in Tokyo. The 20-partner firm offers the full spectrum of legal advice and can cater to organizations of all sizes. It has particular expertise on intellectual property matters, M&A, finance, labour law and bankruptcy. The firm recently advised an Indian company on a large dispute against a Japanese pharmaceutical company. It was also appointed legal adviser by a Japanese securities company on its business operation in India. The firm is a member of several law firm networks including Pangea Net, World Link for Law and Lexing Network. 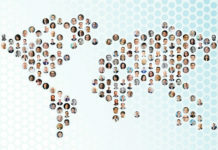 European law firm Noerr has offices in 11 countries and a global network of best-friend law firms. The firm provides Indian companies with support on their activities and investments primarily in Germany, but also across Europe. It also assists European entities looking to gain a foothold in the Indian market. Gerald Reger is the main contact for India matters. The firm’s core areas of expertise are market entry and international expansion, positioning in the target market, and investment safeguards and compliance. This year, the firm represented SAF-HOLLAND, a truck and trailer industry supplier, on corporate acquisitions in Italy (V.Orlandi) and Asia (York Transport Equipment). Singapore-based York Transport Equipment operates production sites in China and India, and supplies most truck and trailer manufacturers in the region. Vikram Nair is head of the India desk at Singaporean firm Rajah & Tann. He is qualified in both Singapore and English law and specializes in international arbitration and corporate and commercial litigation, with particular experience handling disputes in the banking, finance, oil and gas, manufacturing, mining, construction and property development sectors. 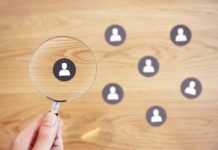 The firm was recently an adviser to Quess Corp on its acquisition of job-listing platform Monster.com’s business in India, Southeast Asia and the Middle East from Monster Worldwide for US$14 million. The firm has offices across Asia in Cambodia, China, Indonesia, Laos, Malaysia, Myanmar, the Philippines, Thailand and Vietnam. Peruvian firm Rodrigo Elias & Medrano launched its Asian investment desk last year to cover legal matters relating to China, India, Japan, South Korea and the ASEAN countries. Although investments between India and Peru are few and far between, the firm is always looking at opportunities for Indian businesses to invest in the country. Its main Indian clients are mining companies, although it has also acted for vehicles manufacturer Hero MotoCorp. Fernando Hurtado de Mendoza is a key contact.